For many people weight loss is an uphill struggle. It becomes an endless fight, lose a pound here, and gain a pound there. Most fad diets fail in the long term for weight loss success because they fail to address the main reason for the weight gain€¦You must change your eating habits to see enduring weight loss. 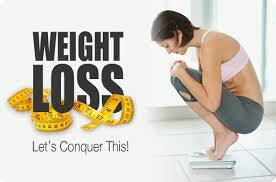 But do not lose hope many have taken on this weight loss challenge before you and have won and you can too. I'm sure you would like to know what they did to enjoy this weight loss success. People who are successful at weight loss exercise. In order to be a weight loss success story, you must exercise. You might be saying: But I exercise! Well but do you exercise at least five times per week for about thirty minutes? Don't have the time for thirty minutes of exercise might be your next answer, can you do three 10 minutes burst of exercise. That would equals to 30 minutes of exercise in a given day. But remember to pick an exercise that you like for your weight loss program. The more you like the exercise choice, the more you will stick to it and become a true weight loss success. Try different exercise such as yoga, walking, and kickboxing, joining the local gym or taking an exercise class at the local college. Block out time in a given day to write down the foods you are eating, the times that you are eating and the portion sizes that you might be eating. A weight loss journal can be a great eye opener because you will realize how much candy bars and sweets you are consuming that you were not even aware of. Not just write in the journal but study the foods and the time and try to adjust your habits and make better food choice. Also note if you are eating when you are stressed, angry or frustrated. Many people are emotional eater but just don't know it. A weight loss journal will make this fact clear; if you are eating at times when you are stressed rather than when you are hungry then you might be an emotional eater. Pay close attention to these sign and try to correct them with more positive behavior that will in the long run give you the weight loss that you seek. Insist that you be patient with yourself. You did not put on the weight in a single sitting and you won't take it off in a week of vigorous exercise. Start off slowly and build your resistance up for exercise. Give yourself little non-food treats to show that you are losing weight and keep on track. Once you have committed to a weight loss program, don't deny yourself the joy of weight loss by stopping. Keep at it and soon you will be getting results that will motivate to stick to your weight loss goals.